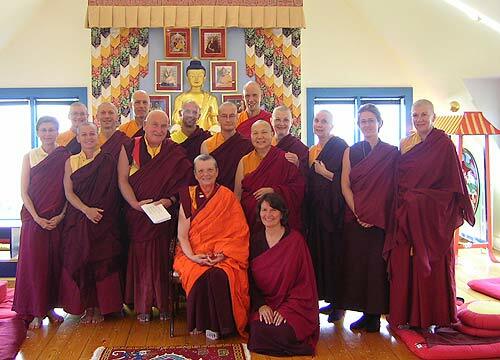 Chuck is currently on one year long “sealed” retreat at Gampo Abbey (since August) at a Buddhist monastery in Cape Breton, Canada. This is part of a three year program. 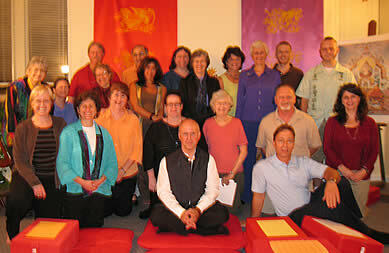 The Birmingham Shambhala Center (BSMC) was founded by Chuck Whetsell, Mary Whetsell, and Janet Bronstein in 1998. BSMC emphasizes the practice of meditation based on both the Buddhist and Shambhala teachings, and the meditation-in-action of Nalanda Arts. The BSMC follows in the tradition of Chögyam Trungpa Rinpoche who was a Tibetan Buddhist meditation master and author of The Myth of Freedom, Cutting Through Spiritual Materialism, and Shambhala: The Sacred Path of the Warrior, among many other books. Chuck Whetsell, Ph.D. and Mary Whetsell, Ph.D. This six hour long workshop mixes short didactic presentations with longer experiential excercises to help illuminate the nature of personal biases participants have towards others. The process of prejudicial discrimination is viewed as a protective mechanism enacted by an ego structure [subpersonalities] that sees diversity in the world of humans and labels that which is different as "not- self". Typically, one of the characteristic responses to "not-self" is fear, based on perceiving the difference as a threat. If solidified [identified], such an experience of fear creates a barrier between self and other, which over time is woven into fixed defensive patterns of prejudicial beliefs, attitudes, and behaviors towards others. Rather than further solidifying these barriers, which arise as part of our social conditioning, it is possible to renounce the barrier of prejudice [disidentify], feel one's vulnerability, and take a fresh look at the object of prejudice. The view taken in this workshop is that we all have aspects of our conditioning which rely on stereotypes regarding others, leading to habitual emotional responses, thoughts, and actions which result in hiding our heart. We also have the tools to open this protective cocoon and expose our heart. Towards this end we know that we can tell the truth with gentleness when we are aligned with our purpose. We also know that we can engage in the practice of fearlessness, as when we take a step into the unknown world.